Insult to injury. 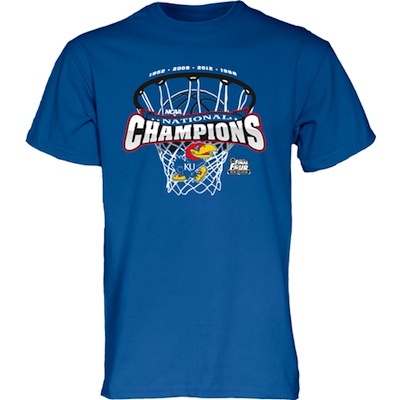 Apparently the Kansas University online store was briefly selling these suckers online for $19.99 before the game even started. Welp, that’s one way to guarantee yourselves a loss. Full story here. Can’t wait to see photos of little African kids running wild with these brand spanking new t-shirts on. Rock Chalk. This entry was posted in Basketball, March Madness and tagged kansas, kansas championship t-shirts, Kentucky. Bookmark the permalink.